Know part of the lyrics for a song but can't figure out what the title is or who it's by? App lets you figure it out! 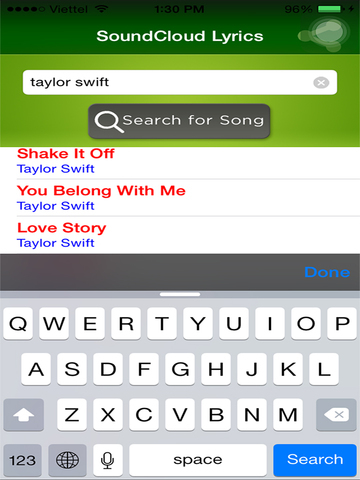 Simply enter part of the song lyrics and tap 'Search' and App will provide a list of matching songs. Once you select the correct song, App allows you to instantly access it in SoundCloud, Spotify, in the iTunes store, or on YouTube!